The current trend in comics, and various media overall, is reflecting today’s audiences by featuring a diverse cast of characters, including those who’re non-White, LGBT, or female. Comics have seen large growth in minority and women readers, and there’s lately more and more stories reflecting such. New characters like Ms. Marvel, Kevin Keller, the cast of “Lumberjanes,” etc. are all reflecting changing trends. 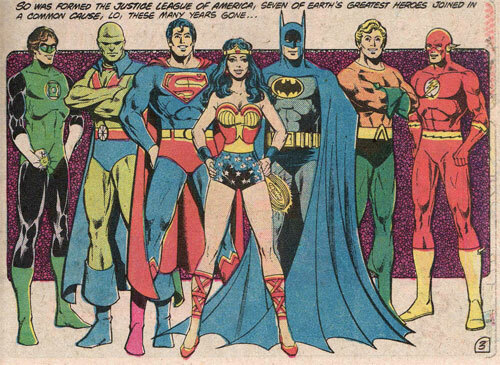 The original founding JLA members, from “Justice League of America” #200 (March 1982). Art by George Perez. However, when it comes to A-list characters, they still tend to reflect the times they were created. Among them are the founding seven members of the Justice League of America, a superhero team that first appeared in “The Brave and the Bold” #28 in March 1960. 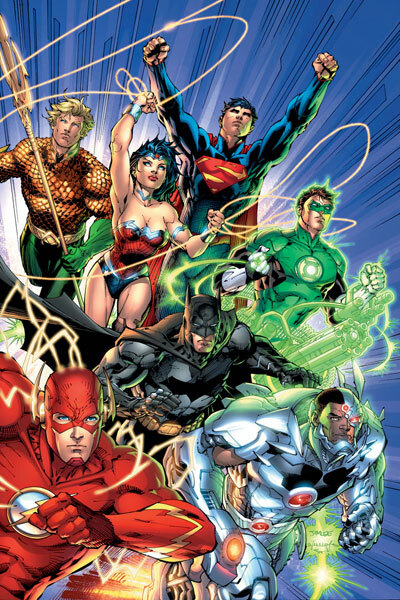 As such, the members consisted of DC’s top superheroes of the time: Superman, Batman, Wonder Woman, Green Lantern (Hal Jordan), the Flash (Barry Allen), Aquaman, and the Martian Manhunter. Typical of the late Eisenhower era, they weren’t a diverse bunch; six of the seven were male, and all save J’onn J’onzz (the Martian) were White. The New 52 Justice League, from “Justice League” #1 (September 2011). Art by Jim Lee. The New 52 reboot in 2011 finally opted to update the above founding membership. The New 52 Justice League (no “of America”) were given new costumes, “edgier” personalities, and Darkseid inserted into their revamped origin story. However, the revamp didn’t do much to update the team’s diversity. DC replaced the Martian Manhunter with longtime Teen Titan Cyborg as a founding member; however, the other six members are the exact same ones as in 1960. 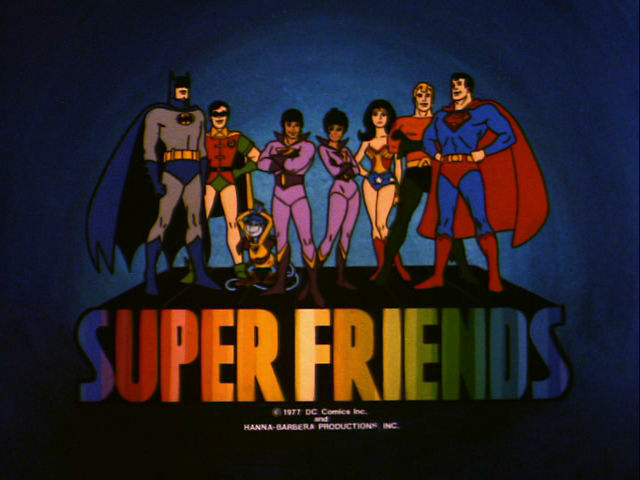 Cyborg’s been inserted into mostly-adult superhero team settings before; see the latter seasons of “Super Friends.” However, I’m not sure if I’d call replacing the sole person of color with another one as “increasing diversity.” For myself, I’d also rather see Cyborg on the team he’s traditionally a part of, the Teen Titans. What would a truly diverse Justice League of America look like nowadays, if it reflected today’s demographics? And who do I think would be on such a team? I’m basing my diversity measures on numbers of women and people of color. Other diversity measures (LGBT, people with disabilities, religious minorities, etc.) are nice, but I figure women/people of color are a bare minimum. I’m assuming there’s still seven founding members. While the teams in various versions have expanded greatly over time (and admittedly always increasing its diversity), it’s the founding “main” members that you’ll find on lunch boxes and merchandise. I’m using existing DC heroes largely as-is, unless a change (in race, gender, etc.) can’t be avoided. Aliens and similar beings I’ll count as “person of color” if they’re clearly a non-Caucasian skin tone, since I’m counting Superman as Caucasian. Information is taken from the most recent US Census figures. As of 2013, ethnic/racial makeup of the US is 62.6% White, 17.1% Hispanic/Latino, 13.2% African-American, 5.3% Asian-American, 2.4% two or more races, 1.2% Native American, and 0.2% Pacific Islander. (Figures don’t add up to 100% exactly.) 50.8% of Americans are female. “The All-New Super Friends Hour” cast. Among seven founding JLAers, and rounding off to whole numbers, that’s four who’re White, one Latino, one African-American, and one of the other remaining ethnicities. In simpler terms, at least three of the seven JLAers should be people of color. I also assume at least three out of seven JLAers should be women (43% of the team), though four would be also fine (57%). Despite being the 21st century, the New 52 JLA does no better (besides a real-life minority being used) than the 1960 JLA. Their TV counterparts did better, particularly for representation of women. Who’d be on a diverse JLA? 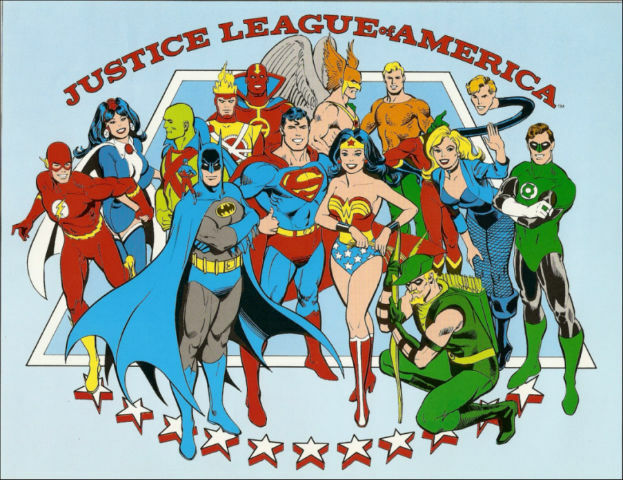 The “Justice League” TV series cast. Superman, Batman, and Wonder Woman stay unchanged. The Hawkgirl cast for the CW series “Legends of Tomorrow” is a Hispanic actress (Ciara Renee), with the TV series using the Kendra Saunders version of Hawkgirl, who’s also Hispanic. While the “Justice League” TV cartoon used the Thanagarian Hawkgirl (my preferred version), her voice actress was also Latino (Maria Canals Barrera). Mera is the only one here who I’d explicitly change races—maybe to Asian or Pacific Islander, similar to what’s being done with Aquaman for the upcoming movies. Otherwise, she’d keep her backstory as queen of Atlantis, traditional hard water powers, etc. I also like the idea of someone aquatic as a League founding member. While Mera’s a relative unknown to the general public, so were John Stewart, J’onn J’onzz, and Hawkgirl before their appearances in the JL TV series. Also, “queen of Atlantis” would be a draw. Vixen‘s become a prominent figure in recent DC Comics, and has even gained her own animated series of shorts on the CW’s online service. This lineup, however, doesn’t feature an aquatic-based hero. 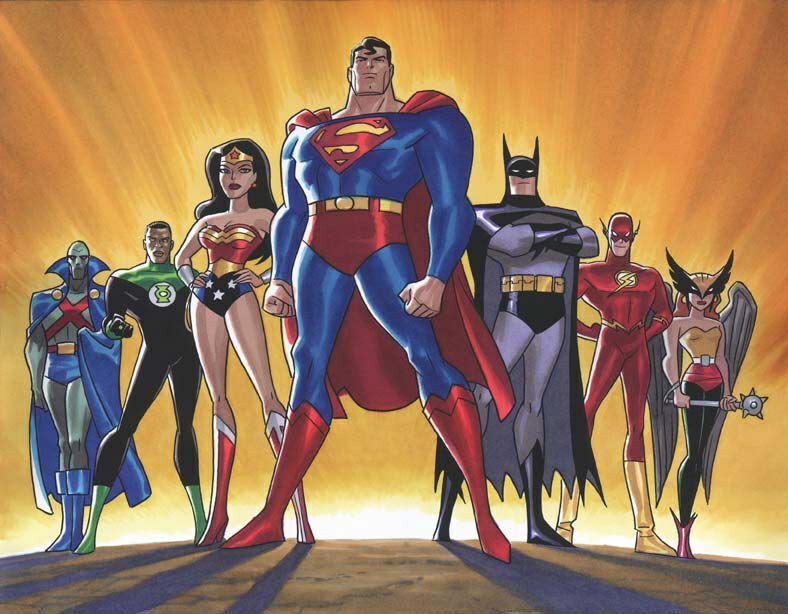 Seven core founding JLA members reflective of the iconic originals. Characters mostly familiar to comic fans and the general public. No heavy retooling required, and would look good on merchandise/the silver screen. Ideally, of course, there’d also be a diverse creative staff of writers, artists, and editors on the characters’ comics. They’d also be all-ages-friendly. What do you think of the above suggestions? Who would you cast?